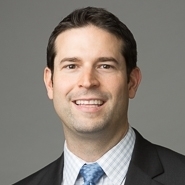 Ryan N. Phelan will participate in a panel discussion regarding patent quality and 101 issues during the USPTO’s First Chicago Regional Seminar. For more information on the 2018 USPTO Chicago Regional Seminar, click here. Ryan N. Phelan is a registered patent attorney who counsels and works with clients on intellectual property matters, with a focus on patents. Mr. Phelan has extensive experience in computer system and software design, engineering, development, and related technologies, including Artificial Intelligence (AI), Internet of Things (IoT), Big Data, and Virtual/Augmented Reality. He focuses on legal areas such as patent protection and procurement, patent portfolio development and management, infringement and invalidity opinions, intellectual property litigation, and post-grant proceedings.